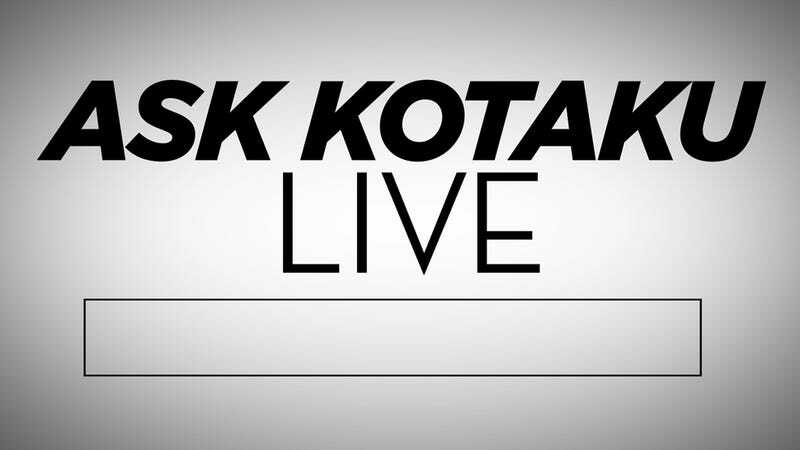 You guys have had an opportunity to ask me—and sometimes Evan, and sometimes even the entire staff—any question you want in this Ask Kotaku segment. Today I want to try something a little different. I want to open the floor to you all to ask every one of us (that's on shift) anything you like. So today we've got...myself, Chris, Evan, Fahey, Jason, Kirk, Patricia and Steve. Normally Stephen would be around, too, but he's been on vacation this week. Want to ask us about games? Our jobs? About chocolate versus vanilla? Where to get the best burritos in San Francisco? We can answer your silliest and most serious questions. Hit the comments and we'll be on hand, live, to answer them. For about an hour or so.